Everybody’s wondered what it would be like to be James Bond. Not the womanizing or the killing or the endangering national security parts, of course. No, Gizmodo readers, it’s all about the gadgets, and today’s your lucky day. 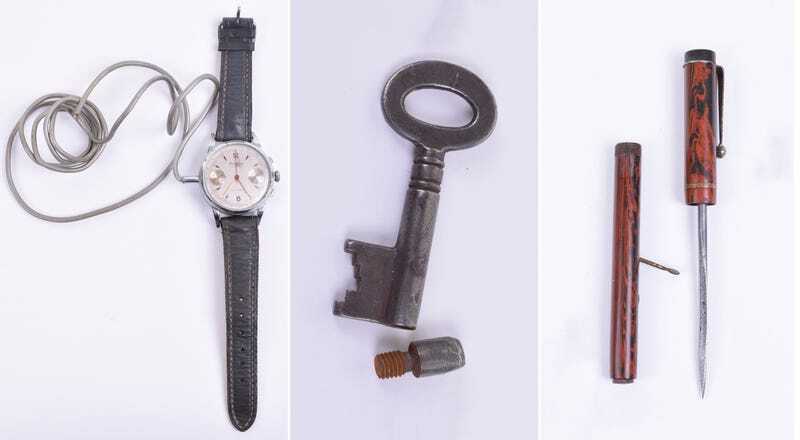 An ongoing auction in the United Kingdom is offering up a handful of World War II-era spy gadgets at bargain prices. For as little as £100, you could be the new owner of a Protona Microphone Spy Watch Recorde or a rather lethal-looking SOE Agents Assassination Pen Dagger. SOE stands for Special Operations Executive, a British espionage and sabotage organization also known as “Churchill’s Secret Army” that was tasked with defending freedom in Nazi-occupied Europe. Should you use these spy gadgets? Probably not in daily life. Can you buy them to freak out your friends at a dinner party? That’s up to you, 007.